Perhaps the earliest mention in print that we have of Tivoli is to be found in the ‘Cheltenham Looker On’ for 1834, where Tivoli is included in a survey of new buildings in the town. Three buildings were under construction and four had been completed but not yet occupied. 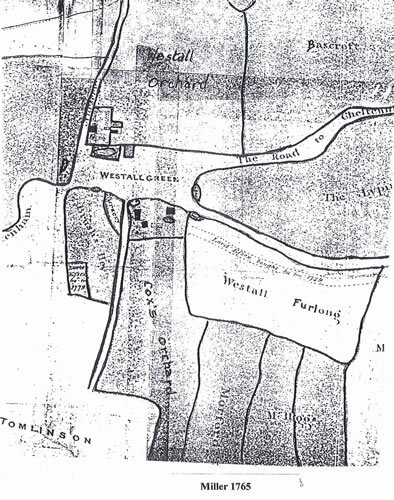 These properties were in what is today Tivoli Road – then just referred to as Tivoli. Tivoli is part of an estate once belonging to the Earl of Essex, later purchased from him by local Solicitor John de la Bere, and then at the turn of the 18th century, and later sold again by his son, this time part to the Earl of Suffolk and part to Henry Thompson, a wealthy merchant from Middlesex. What is known as Tivoli today straddles both of these purchases and the street pattern follows very closely the field boundaries in the de la Bere sale plans. 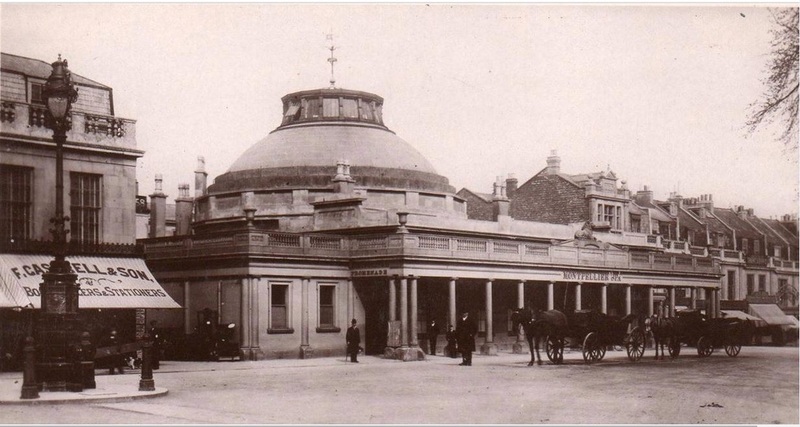 So, Tivoli was born, and by 1845, Rowe’s Cheltenham Guide described it as a ‘fashionable suburb.’ Norman’s Guide of 1854 refers to ‘…the aristocratic districts of Lansdown and Tivoli’ and it was in the residents of these areas that the local traders saw the potential source of their survival, if not prosperity. Andover Road is one of the earliest named roads in Tivoli, although up to the turn of the eighteenth century into the nineteenth, it was named simply, Lippiate. 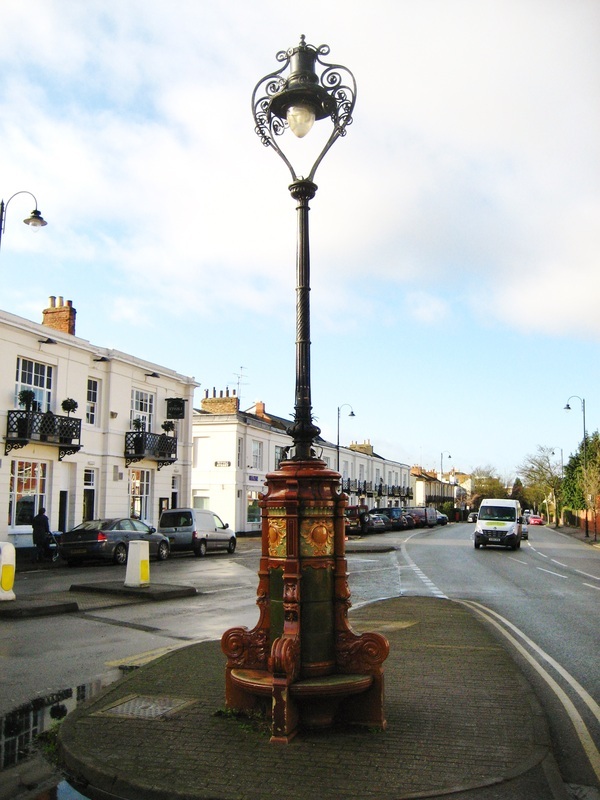 Andover derives its name from the title of the eldest son of the Earls of Suffolk. From 1810, stone-carrying trucks trundled along Lippiate bringing gravel and stone from the quarries on Leckhampton. The trucks were pulled along metal lines and by 1838 23,000 tons of stone annually were passing along the middle of the road, in front of the new buildings that to which the above mentioned guide books refer. This road was called Tivoli Place by 1840 and became officially Andover Road post-1905. Tivoli Place indicated the properties that today include the shops and the two early 19th century terraces on the south of the Road, as far as the junction with St Stephen’s Road. These were all built on the part of the 1765 de la Bere estate named Westal Furlong. 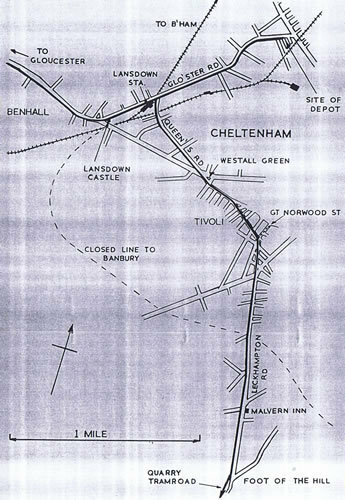 Map of the truck line passing down Andover Road (with permission of the late David Bick). 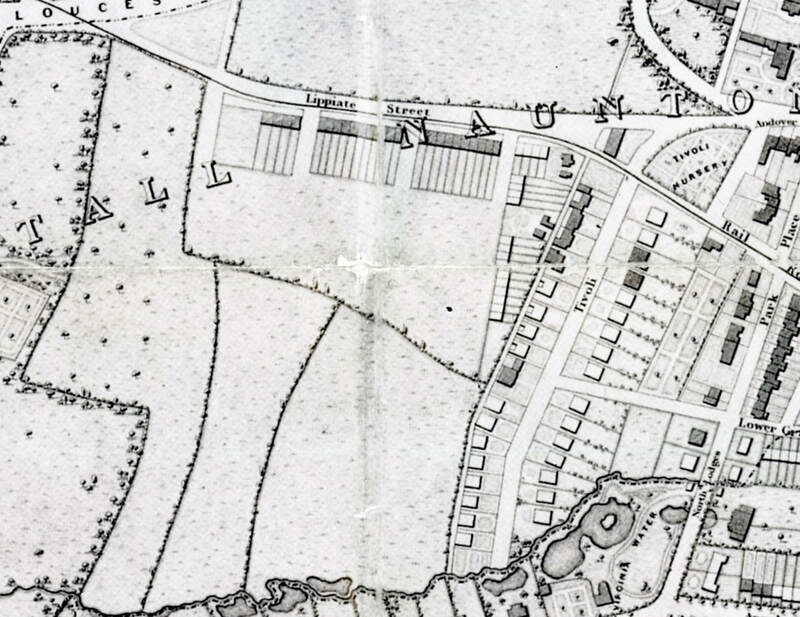 The hand drawn de la Bere Estate Plan 1765 added to in 1779: Westall Furlong is the site of the current Tivoli Place. From its very beginnings in the 1830s, Tivoli Place has consisted of a mixture of commercial and domestic properties including premises occupied by builders’ merchants, a coal merchant, grocers, a plumber and painter, and the Tivoli Inn. 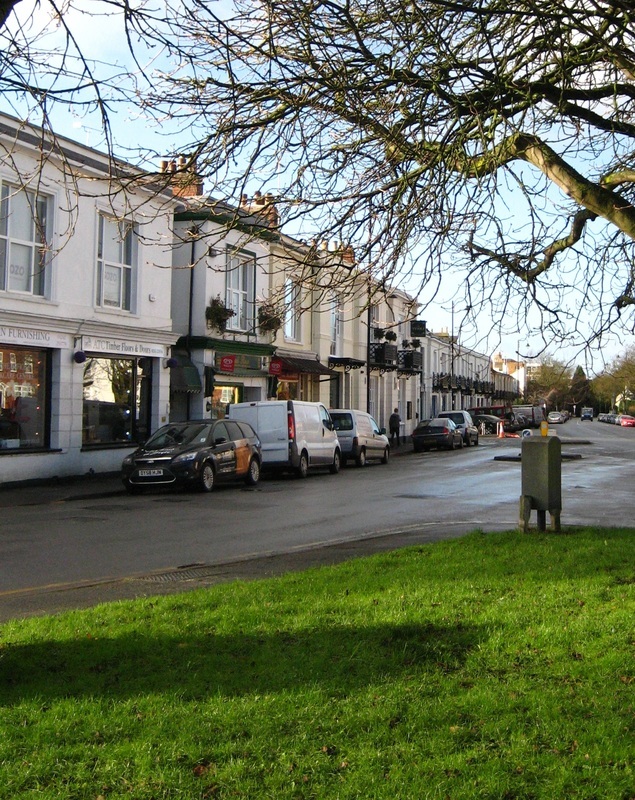 Each block of commercial or domestic properties is interrupted by one of the three roads leading into the heart of Tivoli proper – Tivoli Street, Lypiatt (sic) Street and Hatherley Street. The commercial properties have always started near the entrance to Tivoli Lane to the east and ended at the corner of Lypiatt Street. The two subsequent domestic terraces are separated by Hatherley Street. 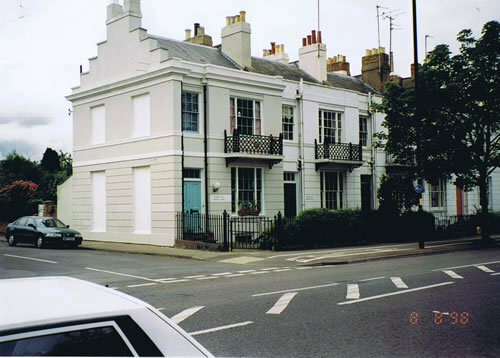 It was in the middle house of the second Terrace – Hatherley Villas – that Gustav Holst’s grandfather was living in 1845 soon after his arrival in Cheltenham. Hatherley Villas, one of the early middle class terraces in Tivoli Place. The Tivoli Lamp before it was relocated from Montpellier. By 1840 the shop and trading sites were numbered 1-19, but number 19 was in fact the first of the private houses of the first terrace today numbered 60a to 70; Hatherley Villas was the second terrace numbered today 72-80, but all these houses and shops were addressed as Tivoli Place. Apparently not all the shops were occupied - nor even built - by this time, and some of the numbering referred to the site rather than the actual building. Also, numbers 1-19 did not always become shops, some being the homes of contractors or suppliers with premises elsewhere. This pattern of change of use lasted well into the 1960s. On the corner of Tivoli Lane was a property on a large site, Gueriff Cottage, (the census is difficult to decipher) and next to it followed three attached commercial premises. Today these are Langsbury the printer and stationer and the Tivoli bar and restaurant, which occupies the other two of the three original properties. These were numbered 1,2 & 3 Tivoli Place. Across Tivoli Street were two more premises, 4 and 5, one of which was the office of Thomas Dover, builder and coal merchant. Next to this by 1840 was the Tivoli Inn, occupying two sites. By 1849, most of the built premises were occupied but some of the sites were in use as builders’ or coal yards, so there were not exactly 19 buildings as we would understand them today. 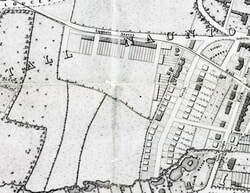 Map of 1834 showing layout of planned buildings. Note four, not the eventual three, properties next to the cottage on the corner of Tivoli Lane.